Ten brilliant tales as you’ve never seen them before. What the Dickens are you waiting for? Take a unique journey through the twists and turns of some of the greatest tales in English literature! This celebration of the work of Charles Dickens has been published to coincide with the the bicentenary of his birth. Peep into the diary of Pip from Great Expectations. Spook yourself senseless as you get close to the ghosts from A Christmas Carol. Join the manhunt for the kidnapper of an orphan called Oliver Twist! 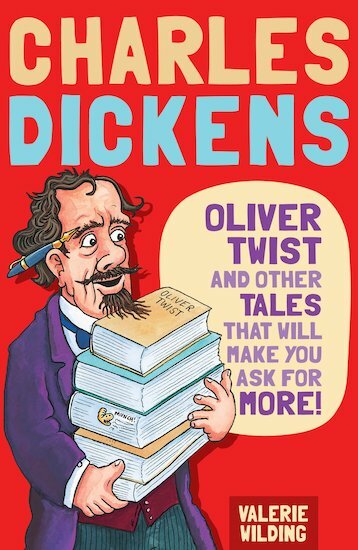 Packed with terrific retellings of timeless tales, top facts about the great man himself and lots of historical background, this is Dickens with an extra Twist! I have not read it but I think it is nice for people who are mot yet ready with their vocabulary to read the original classic. I’m sure it’s lovely! I thought it was wonderful. The classics such as oliver twist never get old. A nice collection of old stories. I am a teacher but I loved it aswell as my class pupils! I will probally like this book if I got it. This book is great – its so helpful, and the stories are told in great ways with brilliant twists – great book!